Shop and Save. 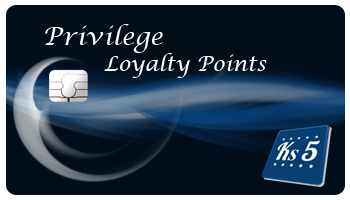 Earn Privilege Loyalty Points Today! It is our pleasure to offer you great discounts off future Kelly's 5 Distribution orders for remaining a loyal customer as a way to say 'Thank You!' We look forward to the opportunity to serve you now and for many years to come. Our mission is to stay outward focused and to serve you with the highest level of customer service possible. Shop with us and earn loyalty rewards points to be applied for future orders anywhere on our website or in our store. Terms and Conditions: No minimum order is required to redeem points. Points are awarded when your order is delivered and cancelled when an order is cancelled. Points are non-transferrable and may not be redeemed for cash. For every $10 you spend,you will earn 1 Privilege Loyalty Point. Each point is worth $0.20 off your next purchase. Get a discount of 2% for you and your friends by recommending this Website. It's quick and it's easy. Just fill in the first name, last name, and e-mail address(es) of your friend(s) in the fields below. When one of them makes at least 1 order, , he or she will receive a 2% voucher and you will receive your own voucher worth 2%. 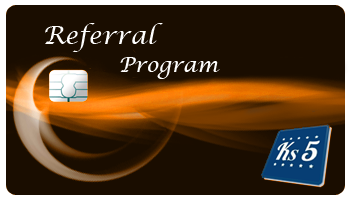 Terms and Conditions: To qualify for the referral program, you must have place a minimum of 1 order with us prior to receiving the referral credit voucher. Vouchers are non-transferrable and may not be redeemed for cash. Important: Your friends' e-mail addresses will only be used in the referral program. They will never be used for other purposes.